And poop is typically brown. These are things we know to be true. So when your stool changes color, it can be alarming. Bowel movements are different for everyone. They can range in frequency, size, and shape, but have one (almost) constant quality: brown color. However, there are conditions that can affect your stool and make it appear different colors, ranging from bright red to green to yellow. It is not uncommon for your poop to appear yellow, which can be caused by a variety of conditions: bacterial infections, digestive disorders, and parasites. 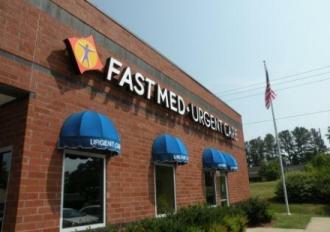 If you have noticed that your stool turned yellow, come to FastMed Urgent Care. We will work to determine the cause of your yellow stool and provide you with high-quality treatment and care. Yellow Poop? Get the Scoop. Steatorrhea – Fat in the stool, known as steatorrhea, can cause a greasy texture, yellow color, and foul odor. Fat absorption depends on bile, so if something blocks bile from entering your bowels, your stool could appear yellow. Celiac disease – People who have celiac disease are unable to digest gluten because of damage in their intestines. Celiac disease prevents nutrients and fats from being absorbed into the body, which results in an excess amount of fat in the stool. Cholestasis – Cholestasis prevents bile from flowing from the liver into the intestine. Lack of bile in the stool can cause it to be light-colored or yellow. Liver disorders – If there is a problem with your liver, the bile canals inside of it become narrowed and bile production is decreased. Some liver conditions that cause yellow stool include cirrhosis and hepatitis. Gallbladder disease – There are several gallbladder disorders that can cause yellow diarrhea or stool, such as cholecystitis (inflammation of the gallbladder), cholangitis (inflammation of the bile ducts), and gallstones. Yellow stool can also be caused by bacterial infections, viral infections, and parasites. At FastMed, you don’t need an appointment to be seen for your symptoms. Our walk-in clinics are open 7 days a week, so you can come in before or after work or school every day of the year.